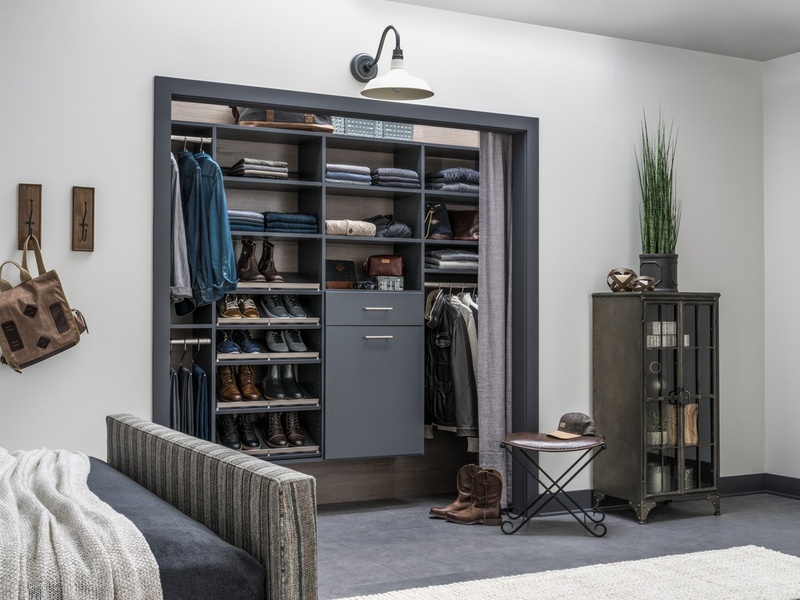 This upscale reach-in closet keeps all of the day’s choices organized and in view. Hanging rods neatly store shirts, pants, and jackets, and open shelves offer space for folded clothes or personal items. Angled shelves with stylish shoe fences display footwear, a built-in drawer accommodates socks and underclothes, and a tilt-out hamper holds worn clothes until laundry day.